The challenges we must overcome to find breakthrough treatments in neurology are many and the potential is great. This spring, I was in Los Angeles at the American Academy of Neurology meeting. I left inspired and a little awestruck. Previously inexorable degenerative diseases such as Huntington’s disease and spinal muscular atrophy had emerging therapies! What was even more encouraging, to me, was that many of the promising therapies were not the result of blind luck but rather originated from years of thoughtful laboratory work. Medical science, the thousands of lives dedicated to it, and the multibillion-dollar infrastructure were producing results. As noted in the final article of our cover focus for this issue, Neurologists Wanted! by Rachel Gottlieb-Smith, in just the last generation of physicians, neurology has gone, from a specialty focused almost solely on diagnosis, to a specialty of treatments that modify disease processes and improve patients’ quality of life. This issue surveys some areas of emerging science and provides human insights from those involved in generating the breakthroughs. 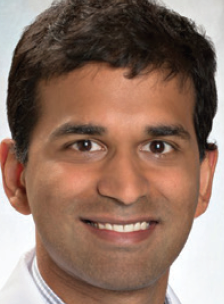 Neeta Garg, Ye Hu, and Kottil W. Rammohan detail development of Biomarkers in Multiple Sclerosis to enable neurologists to better track an individual patient’s disease progression and treatment response. A subsequent article focuses on surprising candidates for disease-modifying treatment, the Anti-Alpha-Synuclein Therapies for Parkinson’s Disease, described by Mazen T. Elkurd, Yasar Torres-Yaghi, Laxman B. Bahroo, Charbel E.-H. Moussa, and Fernando L. Pagan. 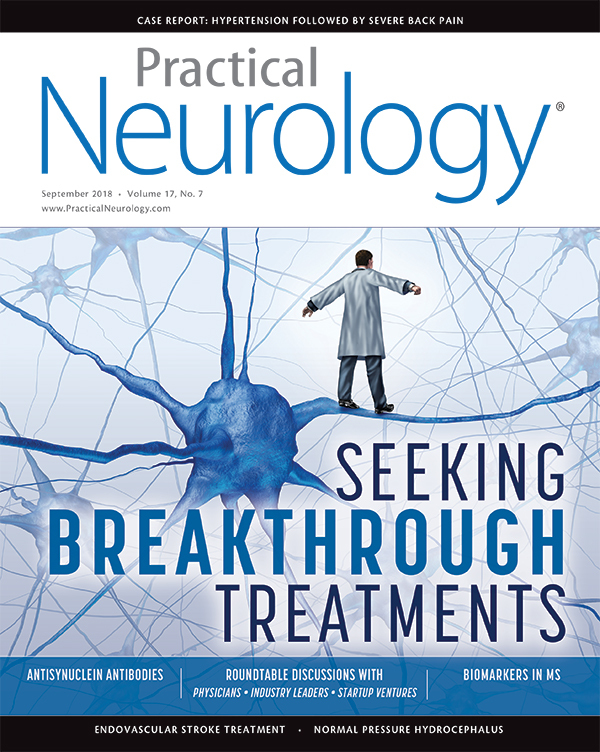 We are fortunate to have, in this issue, 3 roundtable discussions sharing The Industry Perspective, The Startup Perspective, and The Physician Perspective on seeking more breakthrough treatments in neurology. We are grateful to the individual participants in these discussions for sharing their points of view about what breakthroughs have been made, what they believe will be next, and what they wish to see in the future. Throughout these discussions there is a shared tenacity, hopefulness, and most of all, a focus on the patients with neurologic diseases who inspire and motivate the work. Neurologists are indeed wanted—wanted and needed to provide clinical observations, to collaborate with laboratory scientists, and to bring emerging therapies to patients in a judicious, responsible, and compassionate manner.